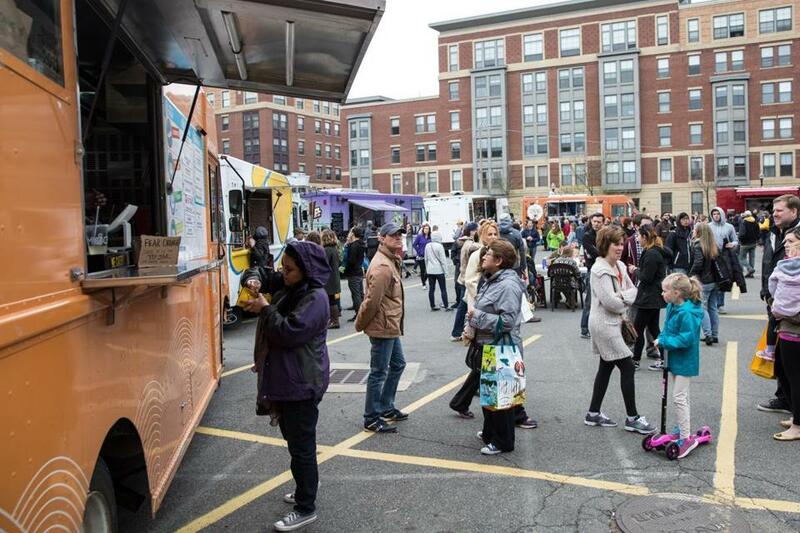 Food trucks at the SoWa Open Market. Pop-up markets and restaurants seem to show no sign of going anywhere in 2019 with the success of the new(ish) Bow Market in Somerville, the 16-year-run of the SoWa Open Market and what seems like an endless bounty of experiences at breweries and distilleries across the hub. And why not? Temporary retail experiences are a boon for consumers eager to try something new and for entrepreneurs testing a concept or menu without having to invest in a full brick and mortar business. Both longstanding Boston businesses and up-and-comers find value in pop-ups. Gilson still sees the value in pop-ups. He’s planning on launching another pop-up experience very soon. Amand adds, “We do this to help promote the vendors, but it also helps everybody when the vendors help promote it themselves. “The idea,” Frosk says, “is to sell out.” Pop-up experiences often feel exclusive, manufacturing demand for a product — be it a sandwich or handmade jewelry. Other venues, such as Bow Market, Boyles-Watson explained, consider themselves hosts to “single car garage style stores that are part of an owner-operated economy” and charge a monthly lease.